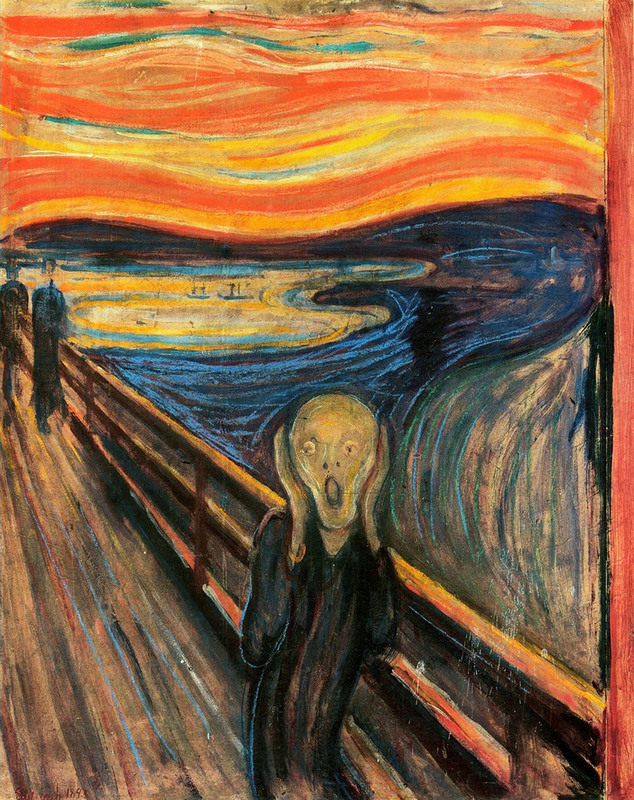 The Scream is another icon of modern culture. It consists of four different paintings of the same scenario painted in oil, tempera, pastel and cardboard, being the oil version the most popular. The inspiration to paint these works came to Munch while walking along a path. Later, he wrote a poem out of a part of the diary that described it. The three other versions of the painting can be found here.